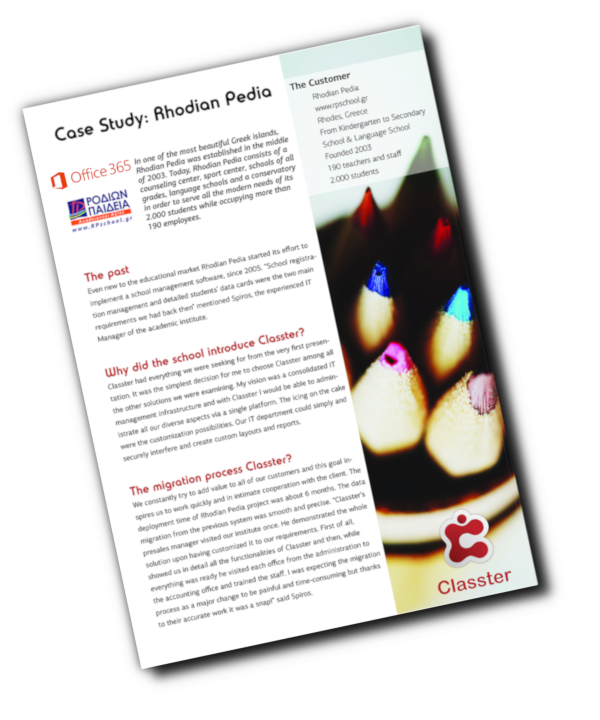 Classter is integrated with a full transportation management system that deals with school transport set-up operations ensuring the safe and timely transportation of students to and from school. Use Classter Manager to create a list of available buses, drivers' and co-drivers, view the personal and contact information of all drivers and co-drivers and create bus zones and routes that are convenient to your needs. Another important feature is that the system provides you the ability to easily manage your students' transportation as the management tool is integrated with Google maps, allowing you to create detailed multiple bus routes easily. Receive feedback from parents related for instance to the desired pick-up and drop-off points and dynamically generate the appropriate routes. Classter’s bus management system is designed to simplify the management of your bus fleet, routes, and student transportation. The system will allow you to easily deal with students’ pick up and drop off from the predetermined points, while you can easily manage any bus-related issue. The daily bus schedule can be easily modified, as the system allows you to deal with possible exceptions from the daily schedule as, the non-use of the bus for a particular day or days, the absence of a student and possible changes to the bus route or bus stops. Additionally, you can monitor students' boarding on the bus while Classter is automatically updated with students' presence/absence at the pick-up/drop-off points. Moreover, to ensure student security, Classter provides you with the SMS notification feature that allows you to automatically inform via SMS the parents or the guardian persons once the bus approaches the pick-up and drop-off points. Furthermore, Classter's integration with Google Maps provides you the ability to track bus position on the map easily. 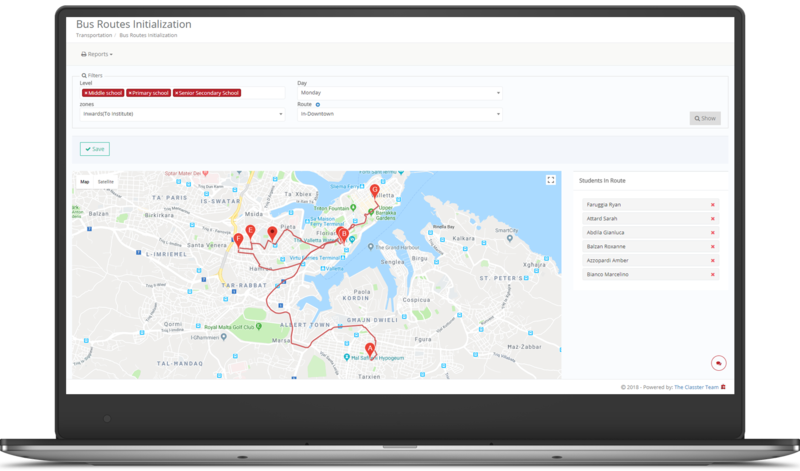 Specify a day, zone and bus name to view the start and end point of the route on the map, while you can also track it live by integrating GPS trackers on your busses.